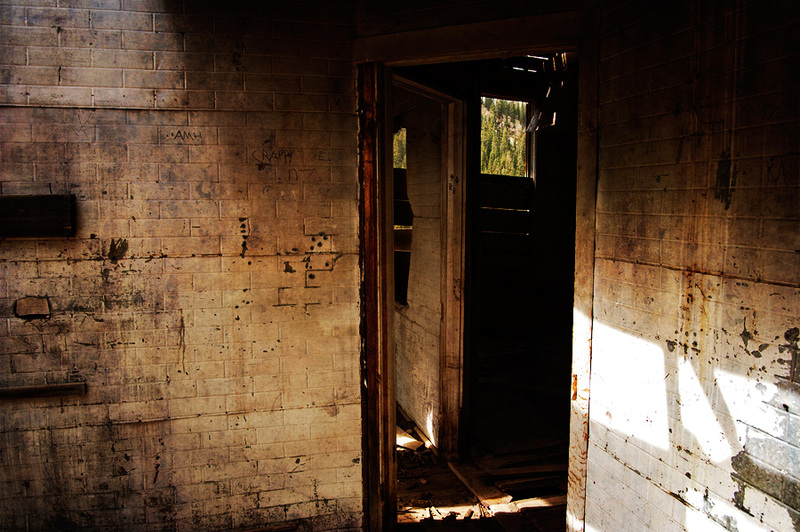 Part 2 of the Bunk House at the Mary Murphy Mine, Colorado. Shot from the remains of the bathrooms looking into the main hall. quite creepy.. you never know what's waiting for you in the shadows..
i love photographs where we can see through a window. lovely contrast between the greens beyond and the gritty blacks in the building. Wow really spooky looking. Love the textures on the walls and the sunlight streaming in. i really love the desolate feeling of this image. it sure looks spooky! Gorgeous warm color and light!